The map shows path of the moon-shadow over central Europe. The darkest path marks the zone of total eclipse which is about 110 km wide. Land´s End in Great Britain was hit by the maximum of the total eclipse at 12:13 MESZ and the borderline between Luxemburg and Germany at 12:31 MESZ. 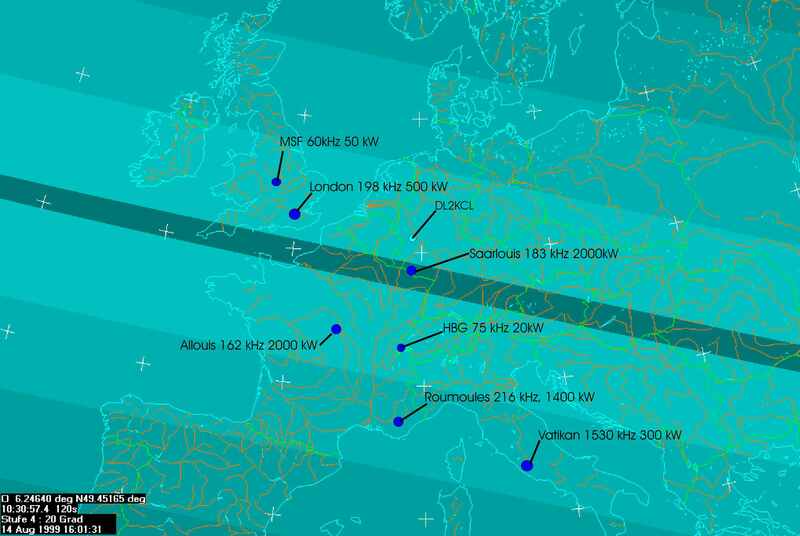 This map was created by using the astronomy software "Guide 7.0"
See the effects of the eclipse on the propagation of radio waves.